If you truly love someone, every day should be like Valentine’s Day. It’s great to be in love, there are so many sweet things that you can do with your partner: surprise her with a candlelight dinner during a weekend; snuggle in bed on a cold rainy day; send silly messages to each other throughout the day; buy a flower for her even though there’s no special occasion. Guys, you do not need a reason to be romantic. You should always do things to make her feel special; she is, after-all the most important person in your life. Everyone likes list posts, so here are some romantic ideas/things to do with your partner. There are many things in this world which I do not understand, but there is one thing I am sure of – love always wins. Budget airlines like Jetstar, Tiger, AiaAsia have completely redefined the travel experience. With prices of air-tickets falling faster than a soufflé, there’s really no excuse for not going on a holiday. Plan for a 3D2N getaway to nearby cities like Phuket, Bangkok, Bali and surprise him/her. It is the best Valentine’s Day Gift for your partner. ‘Staycations’ have become very popular in recent years, and it is a good alternative if you want to avoid the hassle of planning for a holiday. Resorts World Sentosa (8 Sentosa Gateway Resorts World Sentosa Tel: +65 6577 8888) has a 3D2N Tropical Special at $788 which includes two nights stay at Hotel Michael Deluxe Room, Hard Rock Hotel Deluxe Room or Festive Hotel Deluxe Family Room; and one day pass to Universal Studios Singapore for Two. Hotel Fort Canning (11 Canning Walk Tel: +65 6559 6770) is the perfect setting for couples to escape from the busy world and go a romantic rendezvous over the weekend. 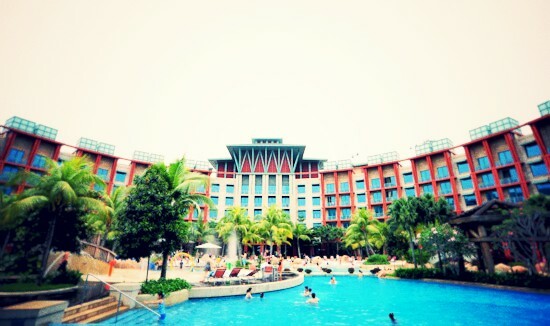 They are currently offering a Valentine’s Day promotion for S$380++ per room per night. The package is also inclusive of breakfast for two at The Glass House and complimentary champagne, wine and juices plus canapés at the Lobby Lounge from 6-8pm. 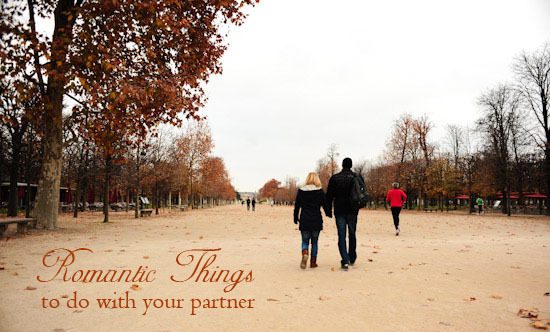 Be it anniversary, birthday, Christmas, or Valentine’s day, going for staycation is a romantic idea for all occasions. AFC Studio (181 Orchard Road #07-02 Orchard Central Tel: + 65 6834 4829) is the place to go for good and relatively affordable cooking classes. They offer different cooking classes (two hour class is $45/pax) ranging from baking French cakes; to learning how to prepare authentic Indonesian dishes. I think it is a romantic idea to take cooking classes, and it is a great way for you and your partner to have fun and enjoy quality time together. There’s nothing more romantic than preparing a candlelight dinner for your partner. It doesn’t have to be fanciful dishes, it just has to be prepared by you. A romantic picnic is a wonderful way to spend a lazy day with your boyfriend/girlfriend, and best of all, it’s a romantic gesture which doesn’t have to cost a lot. You can pack sandwiches, and your partner’s favourite snacks. And of course, you can always “cheat” by buying from gourmet shops. Head to Jones the Grocer (12 Dempsey Road Tel: +65 6476 1512) or Da Paolo Gastronomia (290 Orchard Road, #B1-20 The Paragon Tel: +65 6738 1462) to get some food, before heading to Botanic Gardens or Marina Barrage for a picnic. For those of you who are planning to do a picnic at Botanic Gardens, you can get pizzas from Casa Verde (1 Cluny road Singapore Botanic Gardens Tel: +65 6467 7326); they have an ongoing 1-for-1 pizza promotion (Monday to Thursday, 11am – 9.30pm) for takeaway. Do share with us what are some of the romantic things that you do with your boyfriend/girlfriend. Remember, it’s not about what you do, but who you do it with. Have fun with your partner! staycation! then to visit the titanic & cartier exhibition at art science museum. follow by dinner. after tt some groceries shopping then we will head back to hotel to watch a movie or smth.And we will end this staycation with brunch at one of your “best brunch in Singapore” suggestions. Thanks for the recommendations!